The Big Sky from Mystery Ranch is a 3000 cubic inch (49 liter) internal frame pack. It features the now scarce Live Wing waist belt (which can be stowed away when not in use), the Futura harness and the instantly recognizable Tri-Zip design. This variant also included a built in Stick-It for overload storage (some did not have this feature). Atop the bag is one large pocket and on each side is a water bottle pocket and pass through sleeves for something like skis or tripods. The exterior also has two daisy chains on the face and a pair of compression straps to control the load. 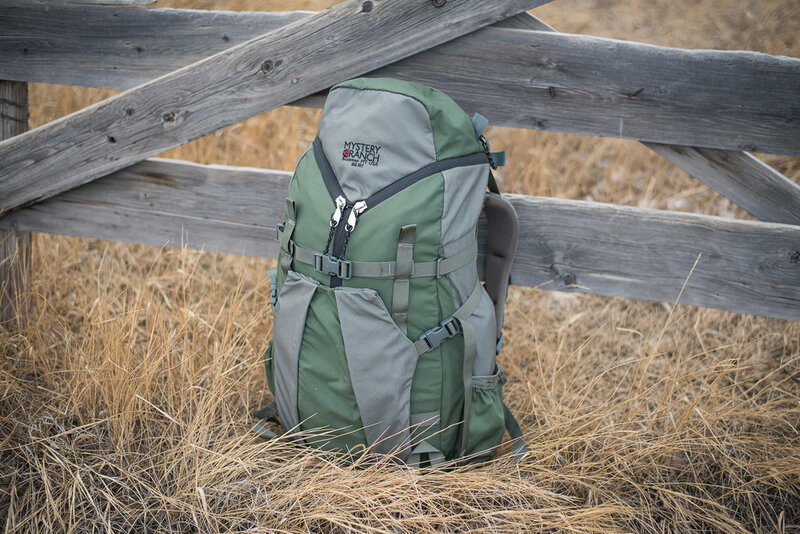 The interior is sparse, having only a simple PALS webbing field on the rear above a hydration pocket and a hanging loop and hose pass-throughs. These packs were great for light 2-3 day trips or traveling. They are not easy to find in 2018, but they are worth snagging if you spot one!